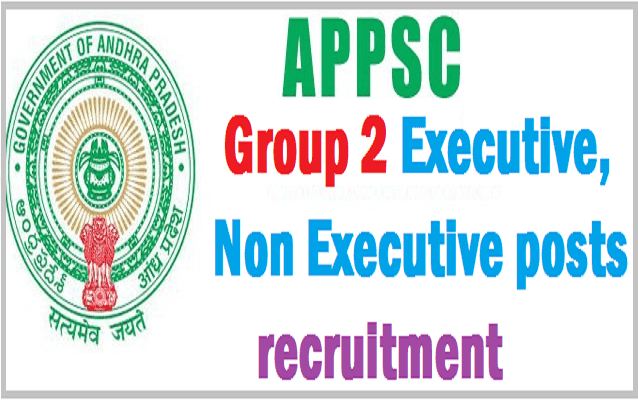 APPSC 1999 Group II Recruitment Selection list/Results of Notification No.10/1999/ 1999 Group 2 Posts Merit List, 1991 Group II Results, APPSC Group II Recruitment Results of Notification No.10/1999, APPSC 1999 Group II Executive List Hall Ticket Wise, Executive List Post Code Wise, Non-Executive List Hall Ticket Wise, Non-Executive List Post Code Wise, Non-Executive Category Marks links are provided in APPSC Web portal. The list is prepared after detailed verification and if any candidate has any objection he/she can approach the Commission within 7 days in writing. As required under erstwhile Rule 7 of Rules of procedure of APPSC, which is applicable to old open recruitments, the candidates who have not been allotted any service in earlier spells of this recruitment are requested to express willingness in writing within one week from today, failing which their candidature would not be considered for selection. Willingness on e-mail/SMS/WhatsApp etc.. would not be considered. The willingness shall be addressed to Secretary APPSC in writing.